I’ll be teaching a one day Arduino Workshop at Artisan’s Asylum this summer. The details are below. You can register by following the link. My vision of this course is not to teach you the intricacies of programming, but to provide a structured environment where you can learn the basics of the Arduino with a standard kit, and be able to work with some basic sensors. My take is that programming tricks and help can be more easily be learned online, where learning about hardware is better done in person. We’ll focus on that (there are plenty of examples for learning the syntax of programming the Arduino). If you are curious, you can always come to the free Circuit Hacking Night, on Wednesdays from 6-8 pm if you want to learn more about Artisan’s Asylum and the stuff that you can work on. If you are thinking of using the Arduino for art projects or the like, I highly suggest you read the checklist. This is great way to help you solve your automation/art/motion issues. This course is based on a successful Introduction to Arduino class taught at Autodesk. 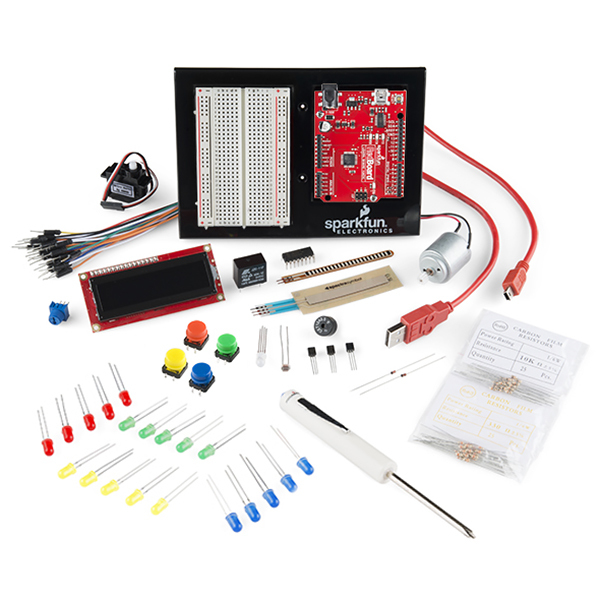 It will focus on building things with the Arduino quickly, teaching the basics, and getting hardware running, rather than on the finer points of software. Students will learn the Arduino platform basics, how to the Arduino is programmed, how to use the included programs, and the basics of sensor and output devices. This course is based on a successful Introduction to Arduino class taught at Autodesk. It will focus on building things with the Arduino quickly, teaching the basics, and getting hardware running, rather than on the finer points of software. Basic output devices – LEDs for lights, piezo speakers for sound, motors and servo motors, and relays. Students should have a working familiarity with their computer (Mac or Windows) – i.e. how to install programs and device drivers. Students must be at least 18 years of age. 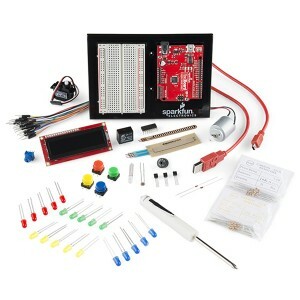 The cost of materials (The SparkFun Inventor’s Kit) is included in the ticket price. The class has access to the Artisan’s Asylum computer lab, but it is recommended that students bring their own laptop.